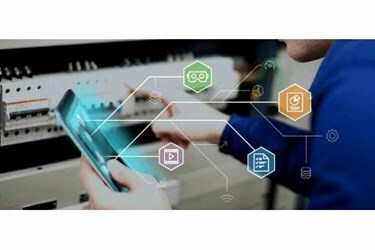 Horsham, PA /PRNewswire/ -- Astea International Inc., a global leader in service lifecycle management and mobility solutions, introduces the release of Astea Alliance™ Mobile Edge™. Designed based upon feedback from some of the world's leading service-driven companies and nearly four decades of industry experience, this new mobile application of Astea's full life cycle field service management platform Alliance, utilizes the latest in mobile development technology and design principles to help companies increase user adoption, boost technician productivity, improve service margins and contract profitability, and deliver a superior user experience. Alliance Mobile Edge simplifies the complexity of today's service experience by combining deep functionality, robust customer and asset life cycle information, and powerful new emerging technology with highly-configurable interfaces, workflow rules and reporting. The result is a platform designed to enhance technician effectiveness and efficiency in every possible way, including the ability to create a digital work environment that suits each technician's affinity for technology and speed of learning. "With Alliance Mobile Edge, we've consciously addressed the challenge that service-driven companies face today. To effectively compete, they require a mobile workforce application that is increasingly complex, capable and connected, and this can quickly overwhelm technicians who already have their hands full dealing with more diverse service offerings and highly demanding customers," said David F. Giannetto, chief operating officer for Astea International. "We've created the most capable mobile application in the industry without sacrificing functionality, by accommodating multiple ways of working, and differing technician abilities and affinity for technology out of the box. Quicker user adoption and higher satisfaction directly equate to higher profitability and improved ROI." Technicians will execute their workflow, interact with information and launch productivity-enhancing applications through a sleek new user interface (UI) inspired by Google's Material Design principles. The familiarity of this design aids in easy adoption and allows users to intuitively understand how to interact with the application, minimizing the number of screen touches for greater efficiency. Alliance Mobile Edge leverages the latest mobile technology infrastructure, making it more powerful than ever before, with faster rendering, automatic landscape and portrait orientation changes, embedded legends, intelligent help screens and numerous other features designed to enhance user satisfaction. Alliance Mobile Edge puts the power to customize the work environment in the hands of business users. Built upon the long history of Astea Alliance as the most customizable platform in the service management industry, non-technical users can now mirror the most efficient and effective way of working through robust configuration settings. Administrators, managers or supervisors can configure the application to accommodate the needs of each individual worker: modifying the look and feel of specific screens or the entire application; changing labels to reflect local preferences; adding, removing, re-arranging, or changing the settings for any field; modifying workflows, checklists or enabling and disabling entire modules; and much more through a new non-technical interface. This customizer allows organizations to balance universal settings and workflows with local requirements by function, region, business unit, customer group or skill set. New users can start in "simple mode" utilizing only basic functions before experience and training allows them to move into "slim" or "full mode" where additional capabilities are available. This gives workers a natural progression that eases them into the application, all while working in a way that accommodates an organization's need for standardization and consistency. Every aspect of Alliance Mobile Edge was designed to allow technicians to focus on their job—not on the technology that supports it. Technician-enhancing tools, including team and crew collaboration, "Google-like" knowledge base search results, augmented reality and Artificial Intelligence, are all literally at their fingertips. These features are designed to help engineers diagnose problems, make repairs, perform preventative maintenance and resolve customer issues quickly, even if they have never before worked with a piece of equipment. Additional powerful features include gamification, taking and enhancing photographs, and adding attachments, videos or audio recordings that can then become future knowledge assets available across the entire Alliance platform. Alliance Mobile Edge is powerful enough to help overcome the challenges of an aging workforce, the ever growing number of increasingly complex new assets in the field, and new worker inexperience. Alliance Mobile Edge works everywhere. On-line or off-line, the application manages data storage and synchronization so that the technician does not have to be concerned with connectivity, including the availability of supporting documentation and knowledge assets. Uninterrupted service to customers is so important that Alliance Mobile Edge also includes patent-pending capability that quickly restores all data in the event of a device failure. Capable of working on nearly any smart mobile device or computer, organizations can choose the device—or mixture of devices—that works best for them, while still leveraging the most powerful mobile workforce application on the market. It takes more than just a technician to provide world-class service. Alliance Mobile Edge is seamlessly integrated into every aspect of the Alliance platform. Data from every part of the full field service life cycle flows into Mobile Edge ensuring technicians have all the information they need to deliver an outstanding service experience. The technicians' work is sent back to the office in real time—data is always accurate, complete and up-to-date. This allows not only anyone in the service lifecycle to take action, but also allows the Alliance platform to monitor and manage activities, automatically alerting any key stakeholder inside or outside of the organization when something is happening, did happen, or more importantly should happen. Full GPS tracking (with the ability to modify or disable due to privacy concerns), system wide messaging, and full Microsoft Outlook® calendar integration keep everyone informed. These capabilities extend to both third party technicians and contingent workers through the streamlined version of Mobile Edge designed for augmented workforces. To request a live demonstration of Alliance Mobile Edge, click here. Astea International is a global provider of software solutions that offer all the cornerstones of service lifecycle management, including customer management, service management, asset management, forward and reverse logistics management and mobile workforce management and optimization. Astea's solutions link processes, people, parts, and information to empower companies and provide the agility they need to achieve sustainable value in less time, and successfully compete in a global economy. Astea helps the world's best service-driven companies generate even higher levels of customer satisfaction with faster response times and proactive communication, creating a seamless, consistent and highly personalized experience at every customer relationship touch point. © 2017 Astea International Inc. Astea, Astea Mobile Edge and Astea Alliance are trademarks of Astea International Inc. All other company and product names contained herein are trademarks of the respective holders.